If you are looking for a dependable, trustworthy company, you have come to the right place. The David Hazen Group has been in business for over 25 years. 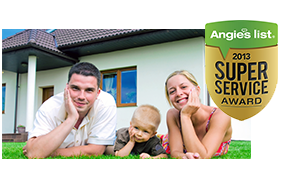 We are one of the few companies who have, for over the past 13 years, won over 70 Angie’s List Super Service Awards. We are committed to providing the highest level of quality and integrity and are dedicated to forming strong relationships with our clients. Learn About Our services and how we can help you! Contact us today and start enjoying our services today. OUR MISSION STATEMENT: Our mission is to provide top quality products and services to Indiana homeowners and do whatever it takes to make you a completely satisfied customer. Expect the high quality service in a timely and professional manner.